In this weeks episode we review the Pixar classic The Incredibles. 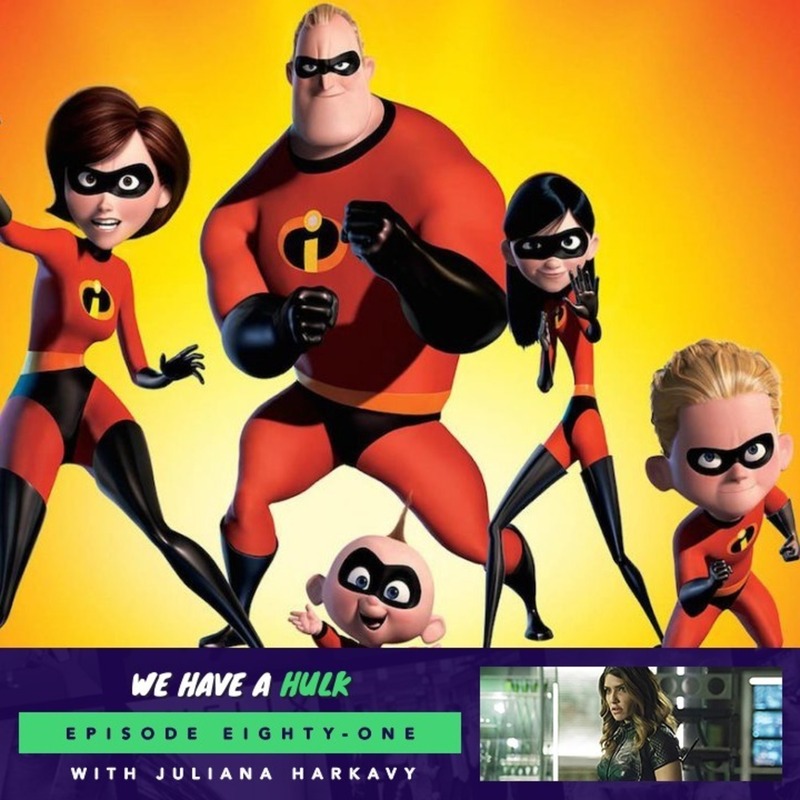 We’re also joined by the lovely Juliana Harkavy who plays Black Canary in Arrow, who we had the chance to interview at Heroes and Villains Fan Fest London. We’re also giving away a SIGNED Colossus Funko Pop by Stefan Kapičić, star of the two Deadpool films. And in this weeks Hulk Topics we discuss which of the Summer blockbusters we’re most excited for, enjoy! 30:46 – 43:44 – Hulk Topics – which Summer blockbuster are you most excited for?